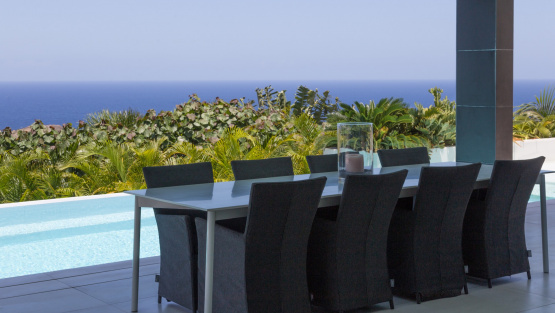 ROSE DOG ESTATE is a beautiful property which combines Villa MAGNIFICA and Villa ROSE DOG, for a total of six bedrooms located in Devé. 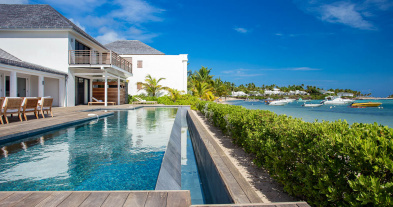 Very private and ideal for a large groups, this is a great choice for family gateaways. 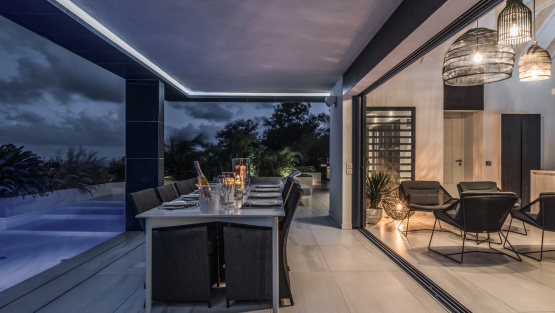 Villa LA MAGNIFICA is a newly built and contemporary style property, nestled at the far end of the Vitet area. 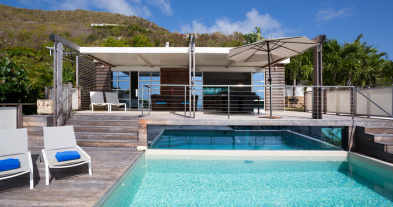 The villa is a two-level home and has a loft design with lots of windows to create a great and central room that opens widely onto the beautiful and impressibe wooden deck. 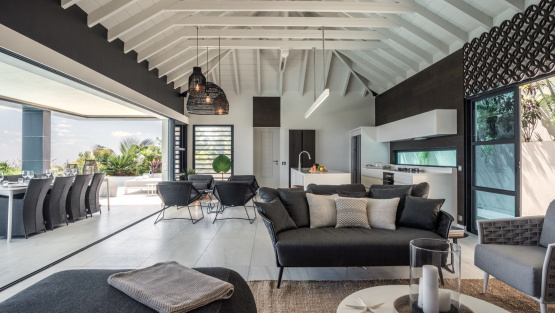 The luxurious and spacious living room is very comfortable with large sofas, and features all the best tech tools to always be connected. 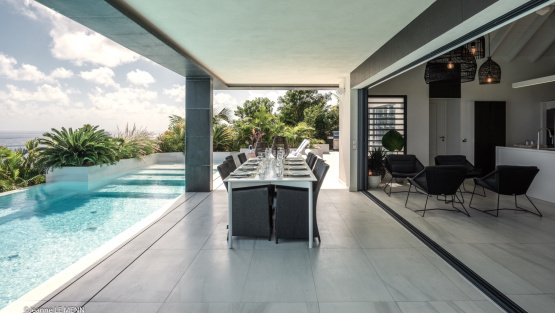 Adjacent, you will appreciate the sleek and fully equipped kitchen and the indoor dining table. 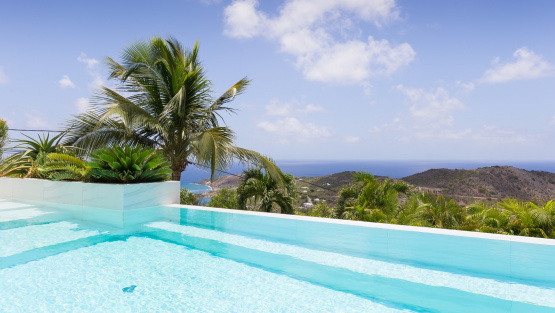 The well sized pool is perfect to appreciate the views, and you have various loungers and sundeck chairs to relax. 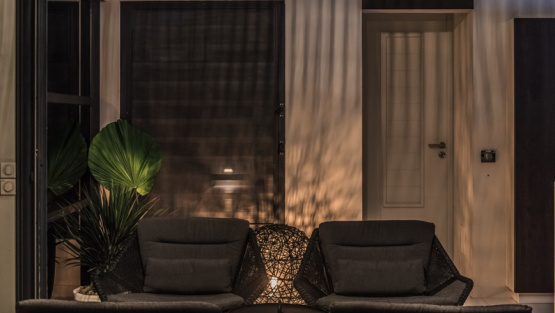 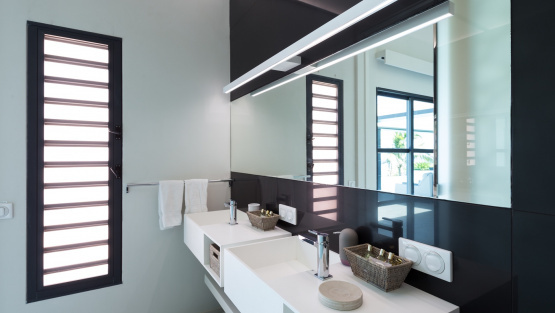 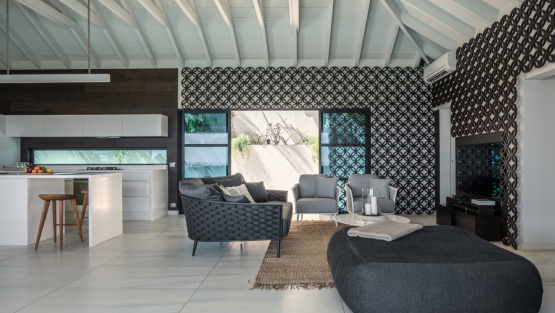 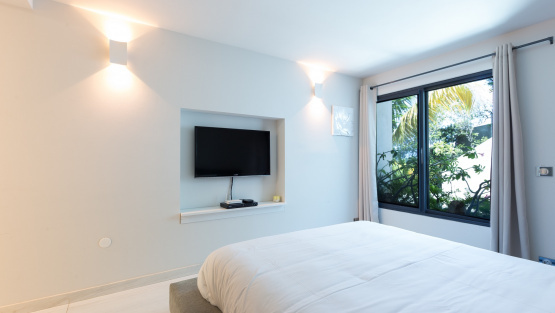 This chic and modern villa offers two luxurious bedrooms both with ensuite bathrooms, top of the line bedding, and the best modern electronics. 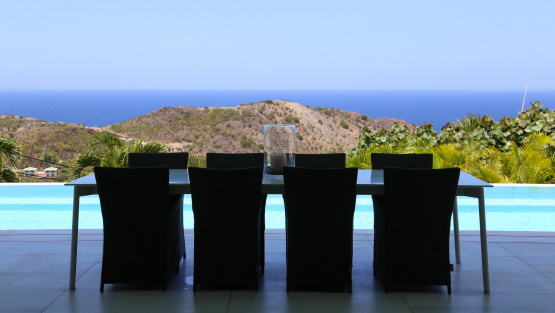 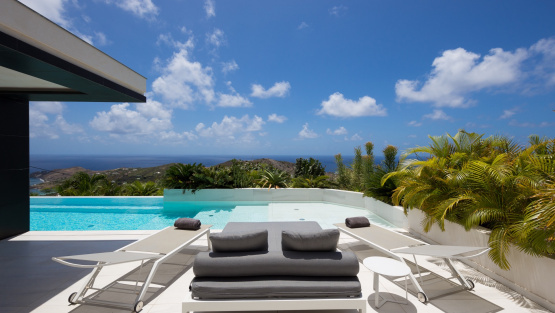 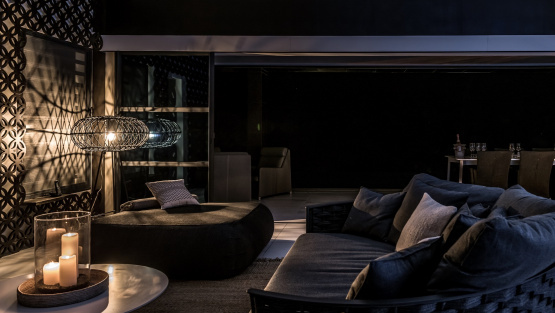 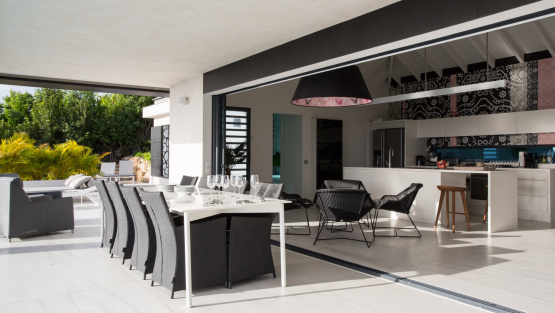 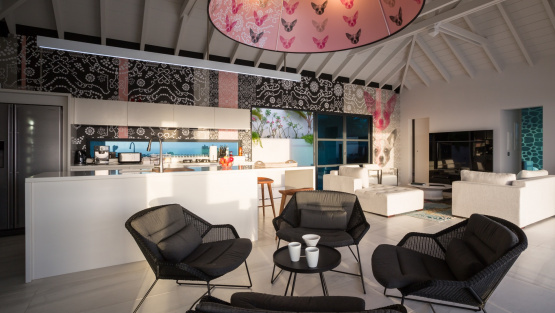 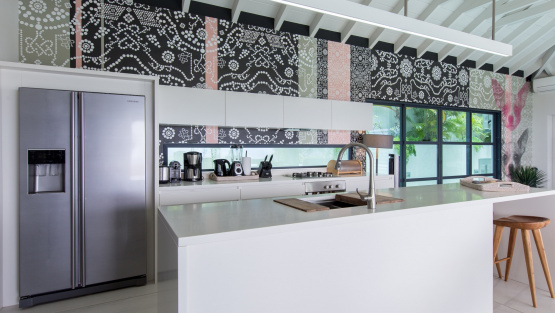 Villa ROSE DOG is a contemporary and magnificent recently built property. 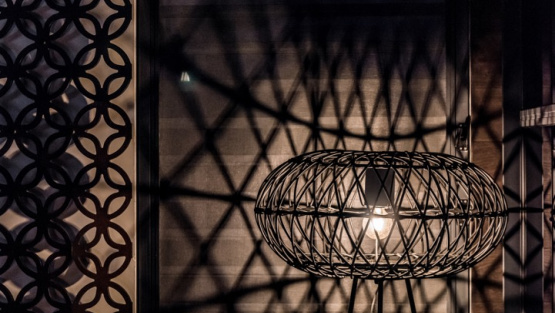 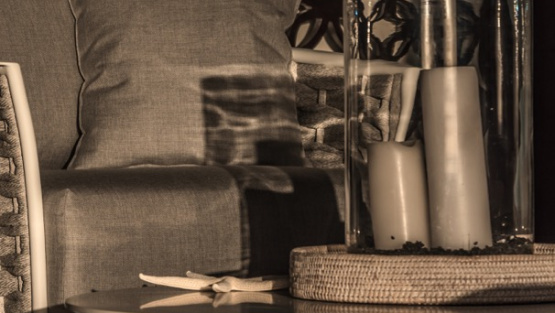 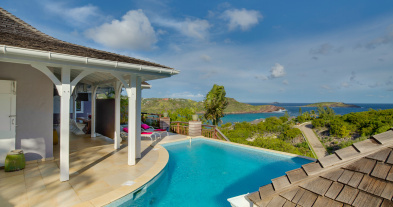 Luxurious and very private, the whole villa inspires chic design with ultimate comforts and amenities. 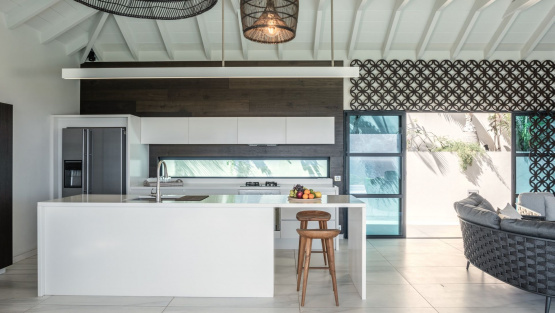 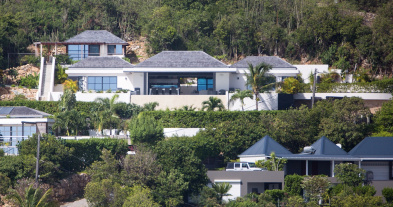 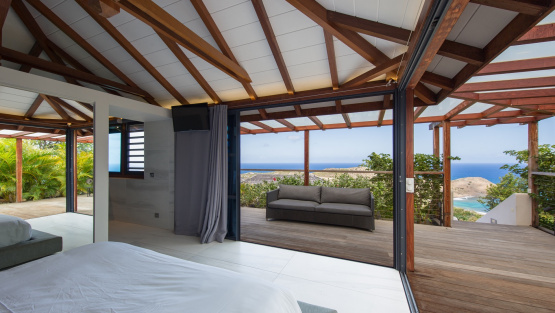 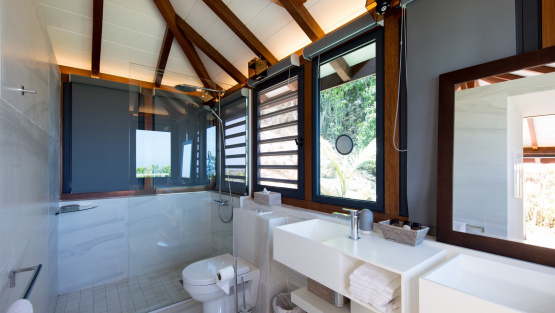 The four bedroom villa is configured over three different levels and boasts uninterrupted panoramic views over the Caribbean sea, from Petit Cul de Sac to the Toiny Bay. 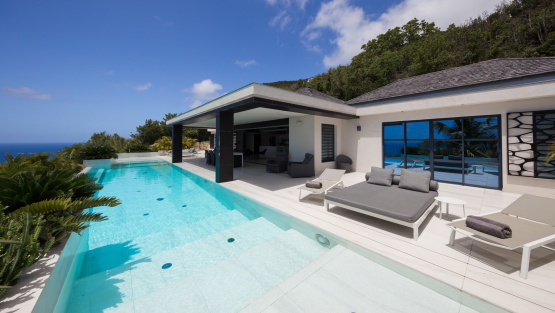 This stylish villa has an inviting infinity pool that enhances the sea views and offers hours of relaxing pleasure, especially for the stunning sunrises. 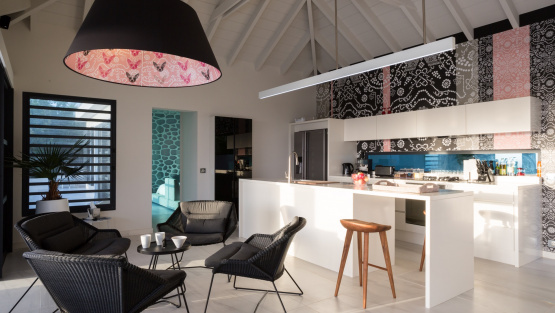 The great and main room features a large and comfortable airy living area, and adjactent fully equipped ultra-modern kitchen. 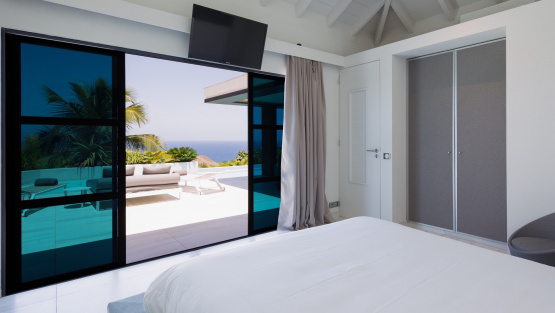 The villa has two master bedrooms on this level, and directely conneted to the living area, and each on opposite sides and opened through sliding doors onto the pool deck. 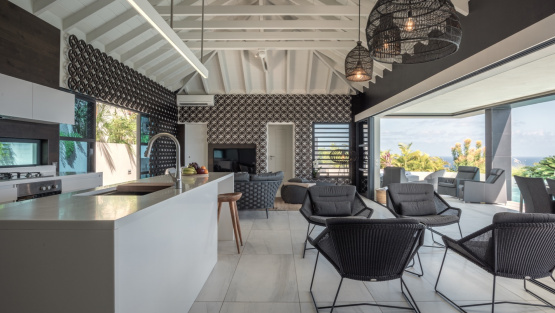 The third bedroom is located in a separate upper building, with its own private entrance from the parking area, and the beautiful pavilion features also its large terrace, kitchenette and bar, with a beautiful sitting area to enjoy cocktails over the bay. 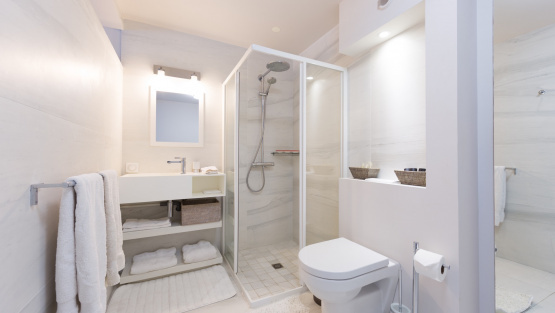 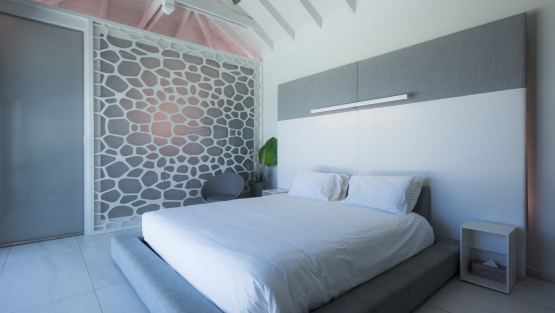 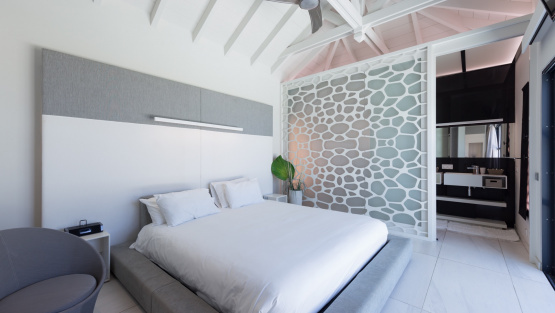 All the three bedrooms are decorated in a soothing palette of white and gray, and have elegant and beautiful ensuite bathrooms, high techs, luxury linens and ocean views. 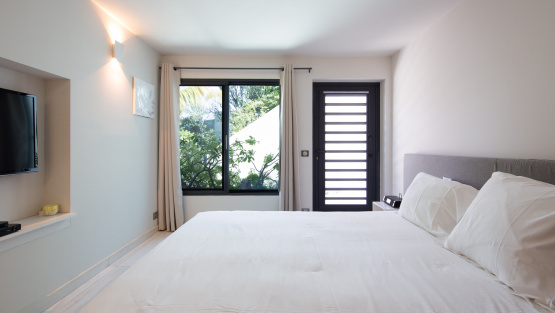 There is a nicely private fourth bedroom under the pool in a charming bugalow, with the same amenities, and perfectly suits teens or staff.